This post is part of a social shopper marketing insight campaign with Pollinate Media Group® and healthy mama® , but all my opinions are my own. 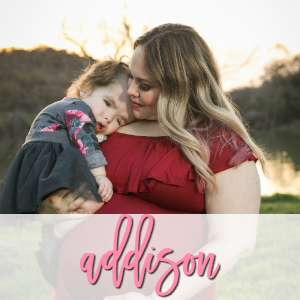 #pmedia #gethealthymama http://my-disclosur.es/OBsstVI’ve been exclusively pumping for Addison for almost 11 months now. Some days are easy, and some days I just need to get away from my pump. Breastfeeding and exclusively pumping are some of the hardest things to have to do for your baby, mainly because of the demand. No demand…no supply. It can get rough. It’s also pretty monotonous. Addie gets a bottle every 4 hours, which means every 3.5 hours I’m sitting in a chair pumping so I can feed her. It gets BORING and flat out exhausting, but I want Addie to have the best nutrition possible, so I willingly do it. My goal is to hit one year, but to be honest, I may try to get through respiratory season this Fall/Winter to help her immune system even more. 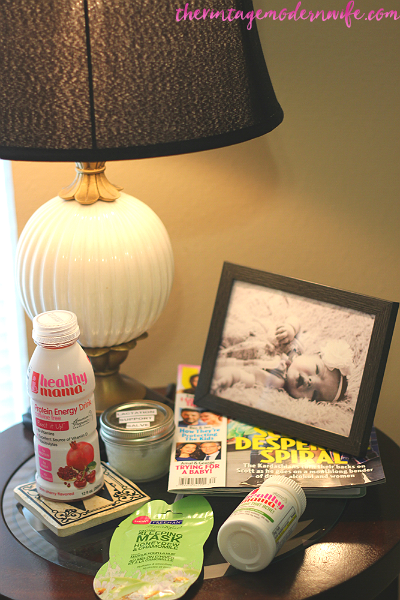 I went to Wal-Mart and found some awesome products from healthy mama® and decided to make myself a little breastfeeding mom’s survival kit to keep by my bed in case I just need a moment to myself. 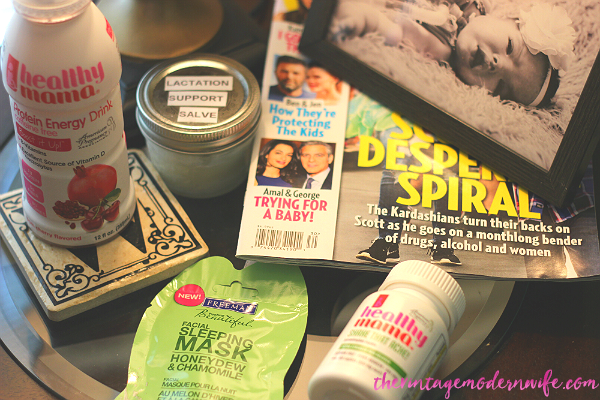 What’s in my Breastfeeding Moms Survival Kit? I love the healthy mama® Boost it Up for just giving me a little extra energy when I honestly don’t want to pump because I’m exhausted. I snagged the pomegranate and cherry flavor and it doesn’t taste “vitamin-y” at all! I also am loving their Shake That Ache pain reliever, because I’m very cautious with what I put into my body when I’m not feeling my best. 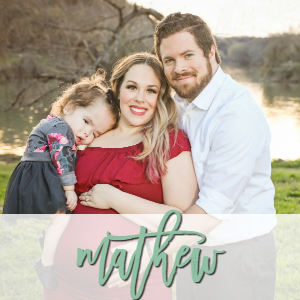 healthy mama® is the first brand to offer pregnant and nursing mamas a complete line of safe and effective wellness solutions for those times when they feel a little less than stellar. They even have a fact sheet up on their website for those breastfeeding moms that want extra piece of mind. The face masks, chocolate, and lip balm are for those days when I absolutely need to de-stress and want to pamper myself. Of course, I threw in a good magazine (who doesn’t love a little Kardashian drama? ), and my Lactation Support Salve so I can ensure that my milk supply stays up. 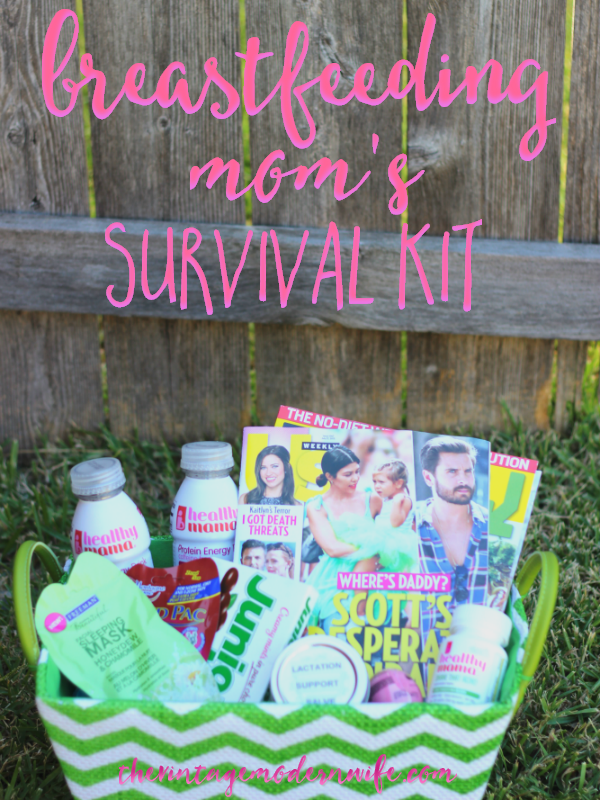 It’s the PERFECT breastfeeding moms survival kit! My sweet friend just moved back into town recently and breastfeeds her adorable little baby girl. My plan is to share my love for all these goodies and make her a welcome back basket because I love mine so much. It would be absolutely perfect to help her feel right at home! Which healthy mama® survival kit product is your favorite? What else would you include to make the perfect kit? healthy mama® Boost it Up! protein energy drinks sound perfect! I drink a lot of protein drinks because of working out at the gym. Will you share your recipe for the Lactation Support Salve? That is absolutely perfect! I wish someone had given me something like that when I had my guys 😉 And I’m curious about what’s in your lactation support salve, too! I love that there is finally a product line for Mom’s!! I might not be a mom myself, but I know so many that have struggled with taking products, not knowing if they were “approved” or not. I’ll be sure to recommend Healthy Mama in the future! Thanks for the info girl!! I will be needing to use these products real soon!! Sounds like a great basket! I love this idea! When first breastfeeding my babies I liked to have a nursing bracelet, because I always forgot which side I nursed last, and a burp cloth of some sort because all of my babies were constantly spitting up on me! I am definitely going to make one of these for my sister in law. First of all, I commend all pumping mamas! 🙂 I nursed both my children, but only had to pump occasionally with my son. I didn’t pump at all for my daughter- she breastfed exclusively though. But I remember pumping, and it can be boring! This is a great idea to keep you entertained while doing the best thing you can for your little girl. Love this! I pumped forever and know how hard it can be. I drank tons of water. Love this survival kit! 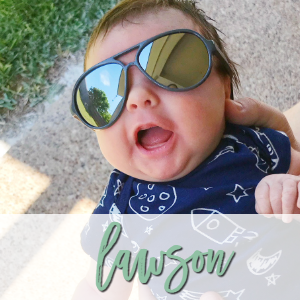 Ashley recently posted…Soothing Essentials with Munchkin Inc. Being a breastfeeding mom currently, I agree with everything on this list!!! I am not breastfeeding, but this would be a perfect gift to a new Mama that is. Great idea! Such a great gift idea! Seriously I would have loved this! This kit is SO perfect for the breastfeeding momma!! I know so many moms who would benefit from a kit like this!